Discussion Thread for SARah 1 mission. late 2020 on Falcon 9 from Vandenberg. SARah 1 is a phased array radar satellite being built by Airbus as a subcontractor to OHB. It is part of the three satellite SARah constellation being build for the German government as a follow-up to the SAR-Lupe radar sat constellation. Much of the development work for SARah 1 could also be used by Airbus in their follow-up to the TerraSAR-X satellite. SARah 1 will mass about 2200kg. Hawthorne, CA – Space Exploration Technologies (SpaceX) will provide the launch services for Germany’s second-generation radar reconnaissance satellite system. The satellites, provided by OHB System AG and Astrium GmbH, will replace the current constellation and will be delivered to orbit by two Falcon 9 rockets in 2018 and 2019. OHB will build two passive-antenna synthetic aperture radar (SAR) satellites, and Astrium GmbH will build a larger, phased-array-antenna satellite under contract for OHB. 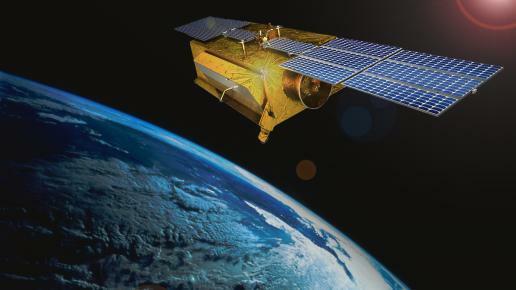 The three-satellite constellation will replace the current OHB-built five-satellite SAR-Lupe constellation. Wait is this different from Canada's RCM contract for Radar Sats? Okay, awake now... time to find some black coffee or something. Looks like someone has a polar launcher that is competitive to nail all these polar contracts (SARah,RCM,Iridium). Ah, polar, so these will launch out of VAFB, then. Right? Well all the SAR-Lupe satellites are in 480x485 98 degree orbits, if that is any hint. This is kind of a big deal, Europe usually goes with Ariane 5 or Soyuz. Of course SpaceX needs to keep the contracts it has by getting Falcon 9 flying those commercial payloads. Just of curiosity, what are the other launch vehicle options available for polar orbit missions currently? Excluding the Delta IV and the the Atlas V.
The first SAR-Lupe constellation was launched on Kosmos-3M's. The sats are way too small for an Ariane 5. Vega would be an option but I don't know the size of the new sats, if they only launch two of them at a time on an F9 they might be bigger than the old ones but they are still probably only like a ton or so to SSO, nothing you'd want to use an Ariane 5 or even a single Soyuz for. Well, Vega has a 2.6m fairing, while Soyuz-STB has a 4.1m x 11m (internally 3.7m x 5.3m and then tapers ) versus the Falcon 9's 5.2m x 13m (4.6m x 6.6 and then tapers). May be they were volume limited? I wonder who else bid on it if anyone? But regardless, just another feather for SpaceX to add to their cap. The new active OHB SARah phased-array-antenna satellite is supposedly a variant of the TerraSAR-X satellite according to SpaceNews. The TerraSAR-X is about 1250 kg. Yeah another bloody feather that will push their balance books closer to the red. Falcon 1 contracts eh? So these were again sold for 20-something million then? Anybody knows? I read it 2 F9 launches to replace 3 F1 launches. Still, they won't make a profit, unless they reuse first stages. On the other hand you have to ask how much money would SpaceX spend to keep F1 active? Lots of performance margin on these flights. Good opportunity to get some testing in. These missions are scheduled for 2018-19. They do need testing opportunities -- now. It's way too heavy for F1. SpaceX ... will be launching all three of Germany’s next-generation radar reconnaissance satellites under an agreement that makes use of long-dormant options held by Astrium of Europe for the now-shelved Falcon 1 rocket, industry officials said. We do not know what are these options and how many F1 flights were in Astrium contract. It would take 10+ launches of F1e to get 5.8 tons into polar orbit. May be they used these options to get some discount ? Falcon 1 contracts were down in the 10-something million range I thought. Pretty smart deal by the Germans. And when those F1 contracts were signed, there was no hint of re-usability, so these are launching on brand-spanking new launch vehicles. Agreed. There was either a contract loophole that they used to acquire F9 v1.1 rockets for a different satellite than originally intended or there was an option for many more smaller launches. Either way, if they're getting F1 prices, sounds like dirty pool. There is a continuous need for testing with a philosophy of continual improvement! Falcon 9 1.1 is a step towards SpaceX's ultimate goals; there will always be the next thing to be tested whilst on that journey.